If you’re looking for an affordable car shade cover, you’re not alone. The harsh Australian weather conditions can cause substantial damage to vehicles and you must keep them well protected. Whether you’re a homeowner or a business owner, you need to consider car shade covers. You have many options to choose from when it comes to car shade structures. You can get a permanent structure erected, you can go for a portable car canopy, or you can go with semi-permanent shade sails. Of these three options, car shade sails are certainly the best of the lot. I’m not saying this simply because we manufacture car shade sails, but because shade sails offer many benefits over the other two. Continue reading this article as I list out a few reasons why our shade sails at Global Shade make the ultimate car shade cover. By the end of it, I’m sure that you’ll agree with me. If you’re planning on building a full-covered carport as a car shade cover, be warned – it’ll be anything but cheap. Instead of splurging thousands of dollars, you can get the same functionality by installing Global Shade car shade sails. Our car shade sails are available in pre-fabricated designs and also as custom solutions. Moreover, our shade sails are highly durable, long lasting and easy to maintain. With so much on offer, you need not build a permanent car shade cover – shade sails are the way to go! I’m sure the thought of getting a portable car canopy from your local hardware store has crossed your mind. Sure, a canopy is a very cheap car shade cover, but portable canopies are highly flimsy. These canopies will only last you a few months at best and you’ll be left wondering where to get a more durable solution. Moreover, these canopies will be utterly destroyed by strong winds, rain or hail. A far better approach is to choose car shade sails, which are a far more robust option. Unlike portable car canopies, car shade sails are semi-permanent structures, which remain fixed to a frame or to a building. This makes shade sails highly durable and they won’t be affected even by the heaviest of storms. Quality car shade sails, such as ours at Global Shade can last much longer than canopies. I always tell my customers at Global Shade that car shade sails are a great option because their size is customisable. Whether you need a car shade cover for a single vehicle, or for a fleet of vehicles, shade sails can be customised to meet your needs. At Global Shade, we have designed car shade sails for both domestic and commercial applications. We manufacture both single vehicle solutions for residences, right up to mass coverage for large shopping centres. Whatever your needs be, you can count on our car shade sails. The best part about car shade sails is that they offer all-weather protection. Here, at Global Shade, we make use of top grade fabrics in our shade sails. Our shade sails are designed to offer up to 99% UV protection and they are also waterproof. When you use our shade sails, you can count on your car shade cover to provide all-weather protection, come rain, hail or shine! If you’re looking for an affordable car shade cover for domestic or commercial applications, consider our shade sails at Global Shade. 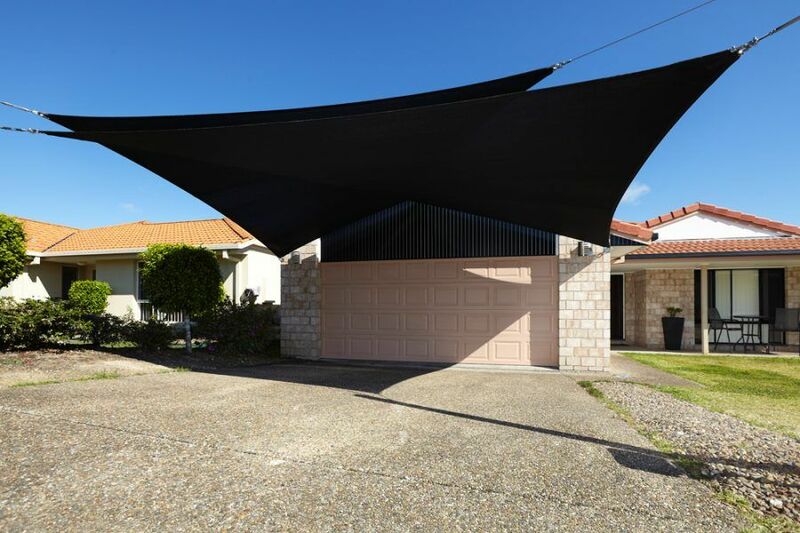 Shade sails are far more affordable than permanent carports and they are much more durable and robust than flimsy portable car canopies. Shade sails can offer all-weather protection and they can be custom built to any size. You certainly will not go wrong in choosing shade sails as a car shade cover. To discuss your car shade requirements and place an order, give us a call at 1800 724 407. We’ll put you through to one of our experts who will be happy to assist you in every way possible.